You’ve probably noticed a lot more GRAND ISLAND motorists driving vehicles with diesel engines. 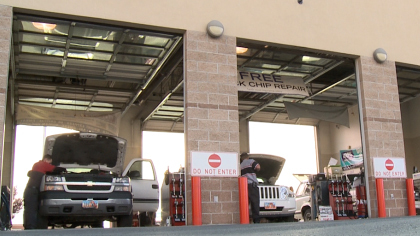 Diesel is a very popular choice in much of the world and is becoming more commonplace here in GRAND ISLAND. North America is just starting to close the gap between gas and diesel engines. Because we are generally less familiar with diesel engines, it would be useful to review emissions related details. First off, diesel fuel is more energy dense than the same amount of gasoline so it generates more power per gallon. However, it also produces more exhaust particulates. So scrubbing the soot out of the exhaust is essential. By law, modern diesel vehicles are required to have a diesel particulate filter (DPF) installed in the exhaust system. This special filter traps the particulates (soot). As the soot accumulates, the filter fills up fairly speedy. It would be very impractical to have to change these costly filters often, so automobile manufacturers have designed systems that burn off the soot. Some systems are passive, allowing the soot to settle inside the filter and absorb heat from the exhaust until the temperature is high enough for the particulates in the trapped in the filter to combust and burn off. This process is called passive filter regeneration. One process of active filter regeneration is accomplished by injecting a bit of diesel fuel into the engine at just the right time to heat the exhaust enough to burn off the particulates. Another method uses a fuel injector placed in the exhaust pipe upstream from the DPF to inject a bit of fuel into the exhaust stream to cause the particulates to combust. The engine management computer of your auto controls these regeneration events. The old days of a noisy diesel engines belching clouds of black, sooty smoke on GRAND ISLAND roads are gone. Diesel emissions systems like Exhaust Gas Recirculation (EGR), Diesel Exhaust Fluid (DEF), and Diesel Particulate Filters (DPF) combine to convey all of the power and gas mileage of a diesel engine, without all of the detrimental and annoying side effects. You can depend on Whitaker Auto Repair to help you with your diesel engine. We will advise you on the vital routine maintenance schedules and warning signs of potential issues so that you can be comfortable with your decision to go diesel. At Whitaker Auto Repair we install quality NAPA replacement parts. Many GRAND ISLAND car owners hear the term “Oxygen Sensor” and figure it must have something to do with sensing oxygen, but don’t really know much beyond that. Let’s explore it: your vehicle has an oxygen sensor in the exhaust manifold that measures how much unburned oxygen there is in the exhaust. The sensor reports its findings to the engine control unit (ECU), which knows how much oxygen there should be in the exhaust. Based on that important information, the ECU will adjust the amount of fuel it sends to the engine. This feedback and adjustment loop is non-stop. The goal is to have the optimal air to fuel ratio for performance, efficiency and to lower detrimental emissions. Now there is a second oxygen sensor located in the exhaust pipe after the catalytic converter. It too measures the amount of oxygen in the exhaust after it has been treated by the catalytic converter. As this measurement is reported back to the ECU, the computer compares the oxygen levels before and after the catalytic converter to determine if the converter is still functioning properly. So, 4-cylinder vehicles have two oxygen sensors. V-6 and V-8 engines have four sensors, two for each bank of cylinders. As you can imagine, the oxygen sensor lives and functions in a pretty hot environment so they do wear out over time. Substances in the exhaust can also damage them leading to failure. 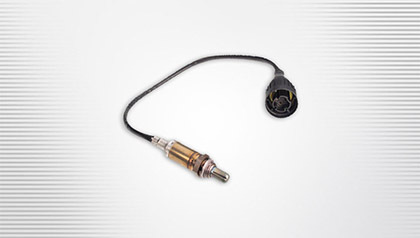 Outside elements like water and road salt can corrode an oxygen sensor. When the sensor goes bad it simply needs to be replaced. NEBRASKA motorists may be interested to know that oxygen sensors are often replaced needlessly. When the oxygen sensor returns a measurement that is out of the specified range, it may trigger a trouble code in the ECU and the Check Engine Light is illuminated. Inexperienced GRAND ISLAND do-it-yourselfers or Grand Island parts store employees may read a trouble code that reports an out of range sensor reading. That could mean that the sensor is bad, but it could also mean that the sensor is accurately reporting a condition caused by some other issue. A skilled diagnostician at Whitaker Auto Repair can sort this out and will only replace the oxygen sensor when it has truly gone bad. When you have a Check Engine Light come on and stay on, it’s good advice to have it checked out by a qualified Whitaker Auto Repair service specialist. The cause may be minor or quite essential, so it’s best for GRAND ISLAND drivers to play it safe and let the professionals determine if it’s needed. We’ve all heard a car or truck in our Grand Island neighborhoods that needs a new muffler. But there’s more to the exhaust system than just the muffler. Now, let’s address the environmental issues for our Grand Island community. Exhaust gas contains a number of pollutants and particulates. The catalytic converter scrubs some of those harmful substances. And diesel vehicles have systems to deal with soot. And that leaves the muffler. The beauty of getting a new muffler is that you can suit your taste: Some want whisper quiet and others like a little rumble. And some like a roar when they drive down our Grand Island streets.